Wayne Such Oct 09 2018 4:41 pm Watched the performance in Seven Days, both films, with my son (he is gay). Thought the performance was outstanding, not just by him, but by all the performers. To have that much talent at such a young age is a credit to them all. I just hope that more people watch these type of movies, maybe there will be more tolerance and love in the world if they do. We here in Australia, have just voted in Marriage equality, which has been a long time coming, but also has a long way to travel still. Scarlet07 Feb 05 2017 2:54 am I Wish I see him again in a movie this year ! I really like him !!!!! You Robe my heart ! Avi Feb 03 2017 2:07 pm Is itu just me or he really looks like someone who potrayed Light in death note live action? LovingKdrama Dec 20 2016 2:18 pm Waaa this guy... seriuosly like his talent... I really love him so much! I hope he does something new soon, he didn't do any films or dramas this year it think :( Well anyways, a really cute guy, i enjoy his acting so much! Genesis77 Oct 23 2016 1:47 am A fantastic talent. Like many others who have commented, I saw you in Seven Days and was in complete awwww. You did a fantastic job portraying the characters Yuzura. I look forward to seeing you in many other dramas and films. I believe you have the talent and ability to go major in the movie word and I'm not just stay it. 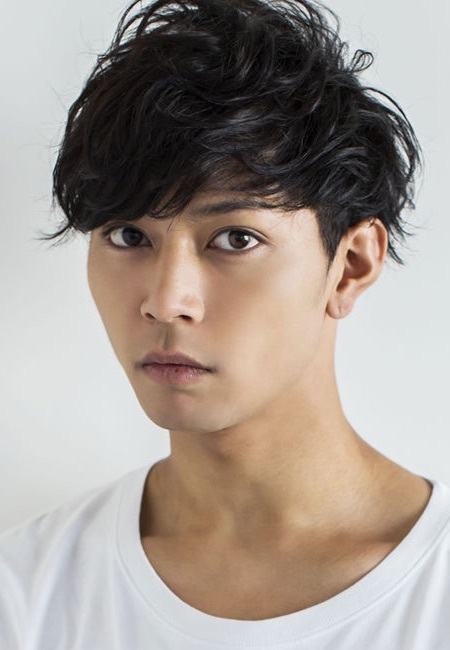 I love to see you do a suspense/thriller type film, or something truly romantic where the guy gets the girl but only after putting in a lot of work....that said, I wish you the greatest luck and success in your career James Yamada (fantastic name...really suits you). Cris Darger Mar 10 2016 10:52 pm Don't understand why James Takeshi Yamada doesn't star in more movies. He is drop dead gorgeous!! !